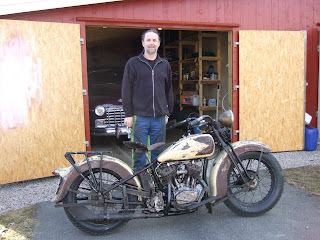 American Motorcycles Norway / Veteran-Mc.com: All done! 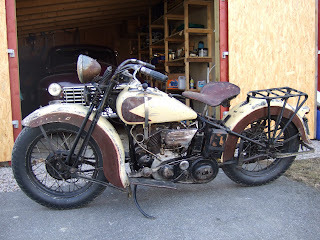 This cool bike have been presented on this blog before in the "As Found" coloumn. Sigurd have done a great job in giving this old scooter a new life. All technical issues are sorted, but most important the barn fresh look is still there. A 1935 Harley R 45" (750cc) with total loss lubrication, "Always fresh oil" was still a part of the sales slogan back in 35. This would soon after come to an end when the factory introduced the Knucklehead in 1936.